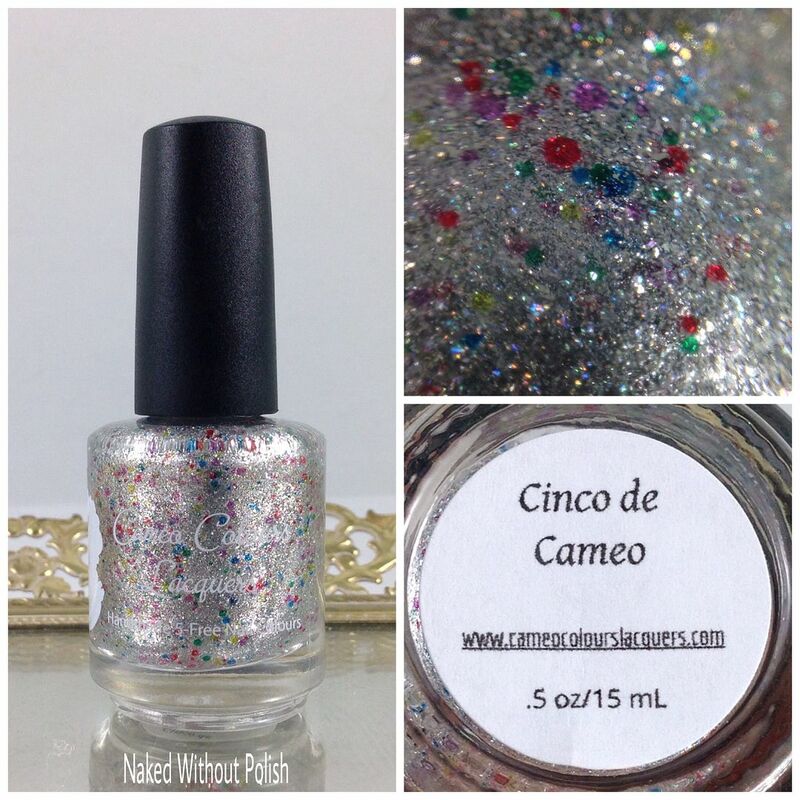 Cinco de Cameo is described as "a metallic silver base full of scattered holo sparkle, silver holo micro flakes, and a rainbow of multi-sized stained glass-esque glitter". 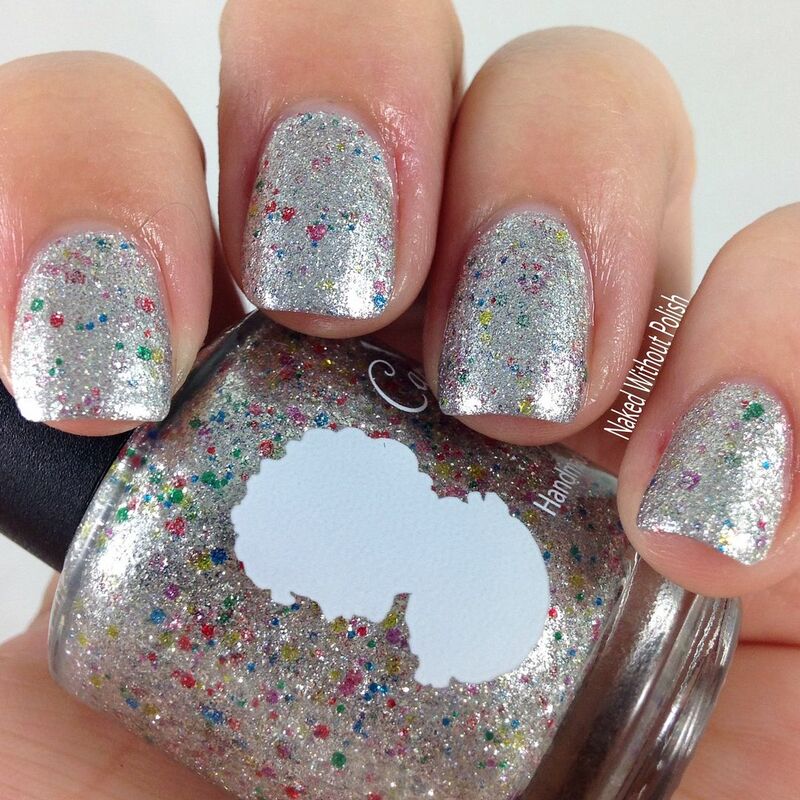 Shown is two coats of Cinco de Cameo with top coat. I love that it is merely an inspiration and not a direct interpretation. She did a lovely job with this. Man-oh-man is it packed with goodness! 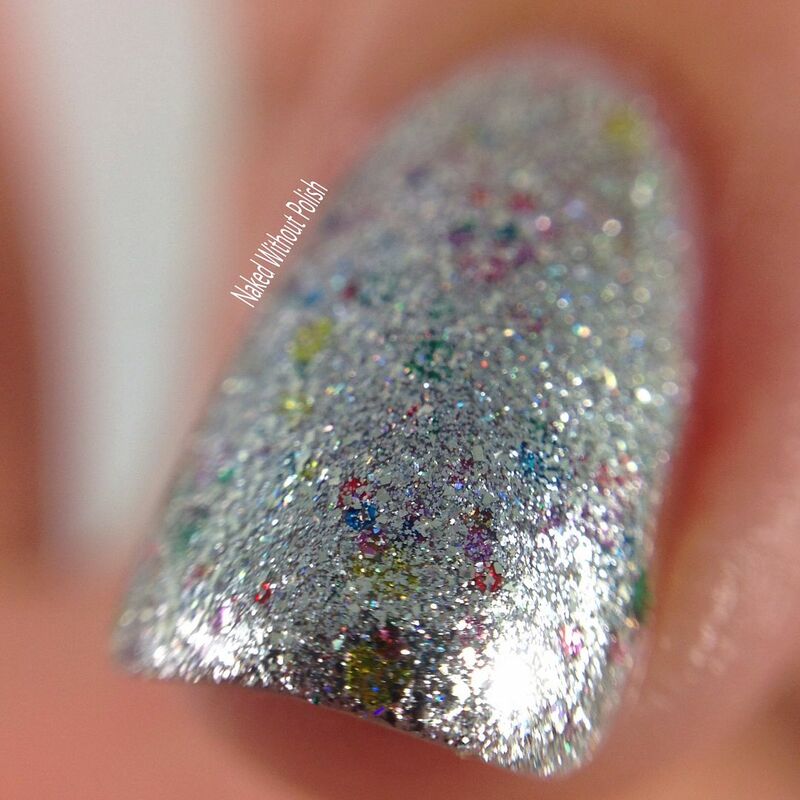 Can you believe that I got all that coverage after only two coats?! The coats aren't even crazy thick either. It was super impressive. It will be available to purchase on June 9th at www.cameocolourslacquers.com for $10.50. I'm not quite sure if this will be a limited edition or not, but don't take chances. 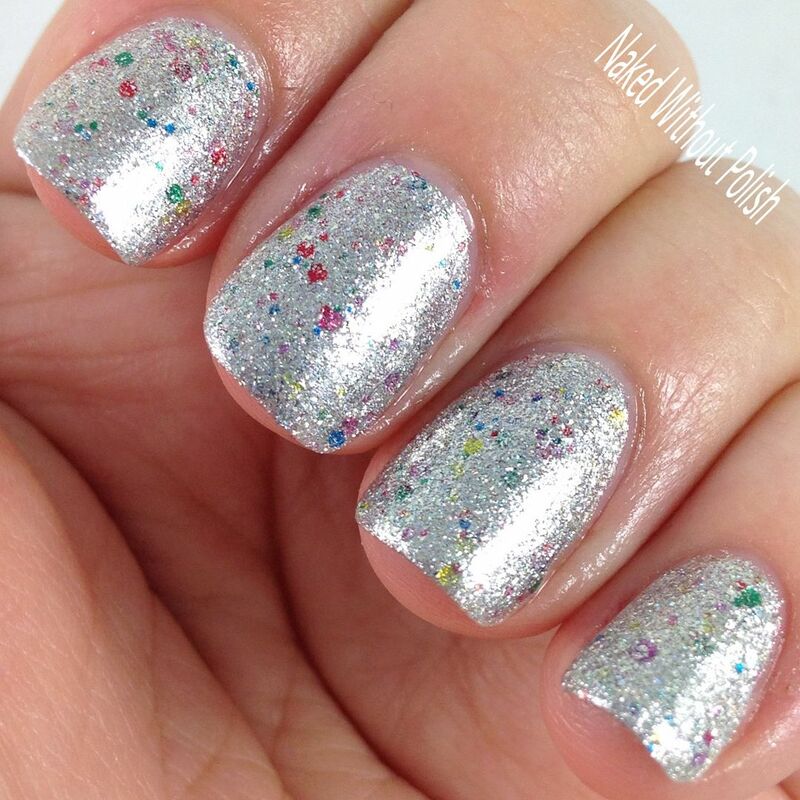 You stamping ladies need this for a base for some crazy manicures! Your color combos are limitless! 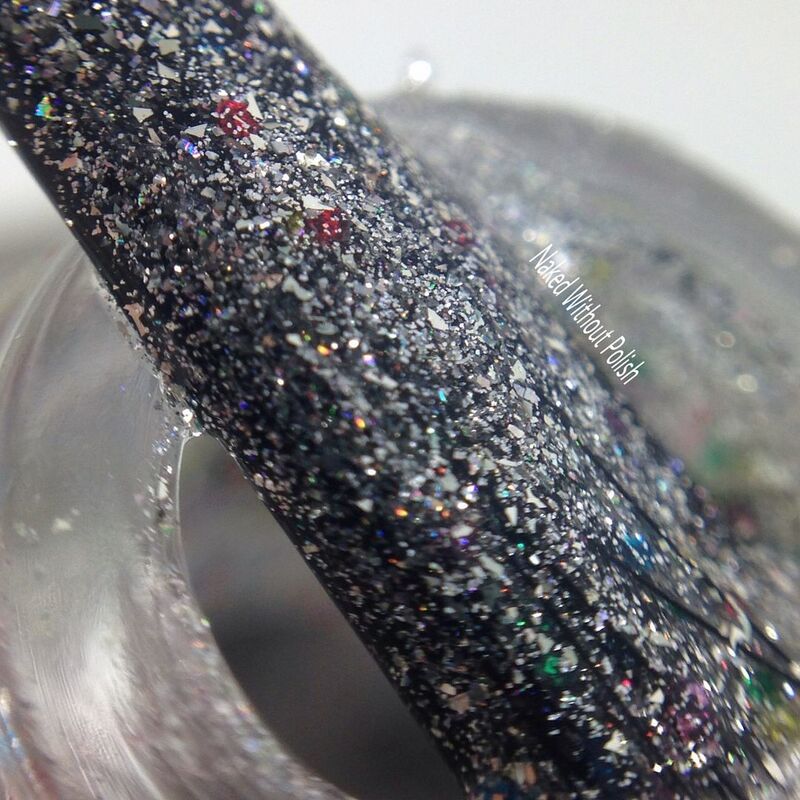 Make sure you are following Cameo Colours Lacquers on all of her social media platforms (links below) to stay updated on news, releases, and sales. Five years is a huge milestone for an indie now-a-days. Congrats to Cameo for making it this far!! I'm curious what you all think of this one though!